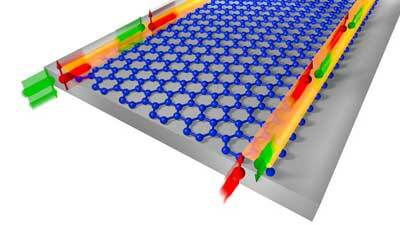 Researchers use mxene to push charging rate limits in energy storage. Using what he calls 'a very simple chemical recipe', a scientist has found a way to defrost surfaces 10 times faster than normal. 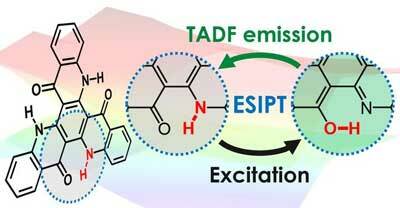 Researchers have demonstrated that a molecule that slightly changes its chemical structure before and after emission can achieve a high efficiency in organic light-emitting diodes (OLEDs). 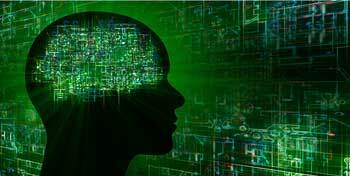 Nanoengineers create liquid-solid composites using clues from nature. 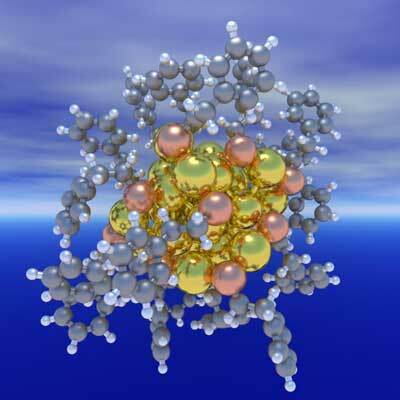 Novel theory explains how metal nanoparticles form. 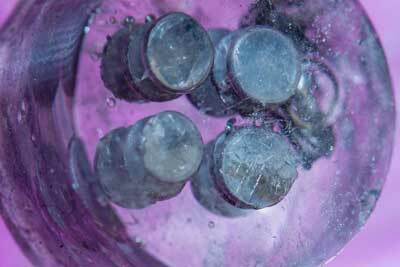 A new report shows that silver-silica nanoparticles with an ampicillin coating are safe for human cells and lethal to antibiotic-resistant microorganisms. 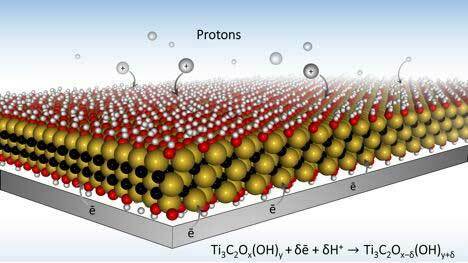 The promising new material is ultra-thin, electrically conducting at the edge and highly insulating within - and all that at room temperature. 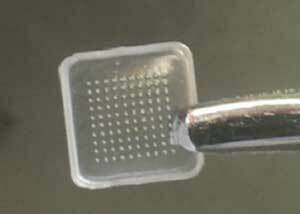 Scientists have demonstrated the utility of dissolving microneedle arrays designs for the lymph node delivery of amphiphilic vaccines released upon skin insertion. Researchers have developed a method of 3D-printing silica suspensions that are subsequently densified into transparent silica glass. Researchers are working with a smart polymer that changes color and activates natural antimicrobial enzymes when bacterial contamination is detected. 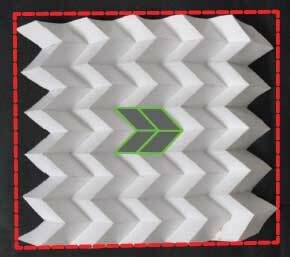 Scientists have combined experiments and simulations to demonstrate that origami metamaterials provide a new platform for the design of systems with a wide range of coefficients of thermal expansion. Researchers have demonstrated a self-powered acceleration sensor based on liquid metal triboelectric nanogenerator, which was composed of an inner liquid metal droplet (mercury) and an outer acrylic shell. 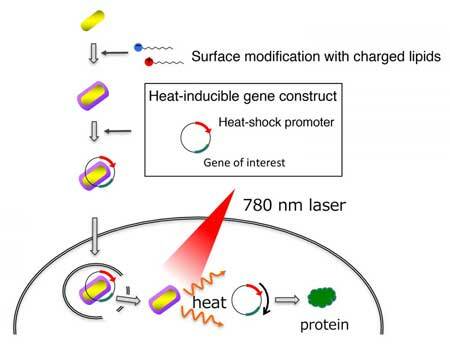 Researchers have developed a new method that modifies the surface of nanorods, making them more efficient in transporting cancer-killing genes into cells. 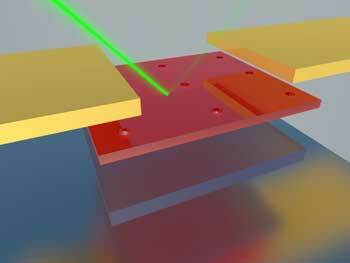 In a nanoscale photodetector that combines a unique fabrication method and light-trapping structures, a team of engineers has overcome obstacles to increasing performance in optoelectronic devices - like camera sensors or solar cells - without adding bulk. 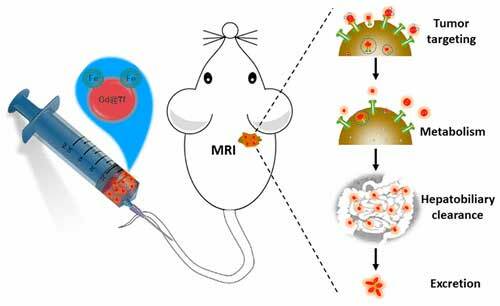 Researchers have designed a human protein-based, tumor-targeting magnetic resonance imaging (MRI) contrast that can be easily cleared by the body.